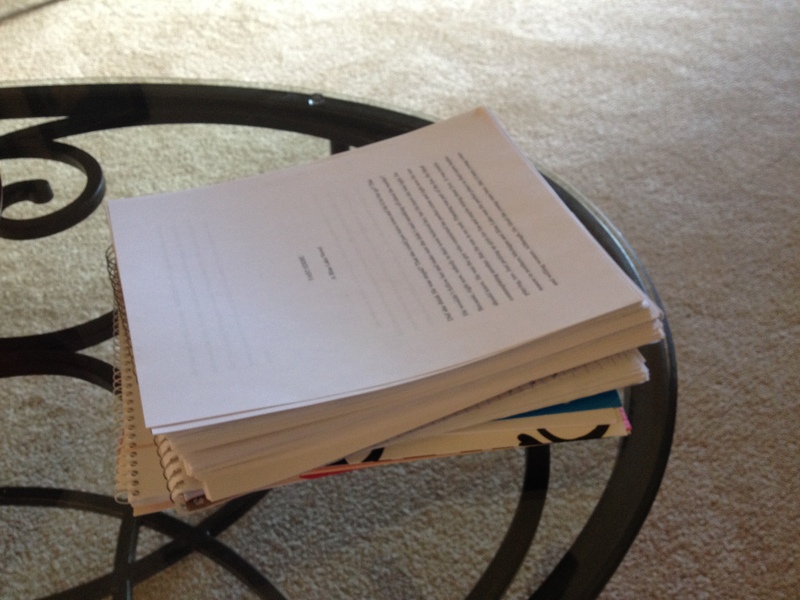 My first draft of the third Blue Lake book is finished. Took a minute to bask in the glory of getting it done today–I didn’t think it would happen but that extra hour this morning helped–and now I need to get busy with polishing up this messy first draft for my patient and kind editor. I’ve already had help from my critique group, so the first half should be simple to clean up. There’s still the problem of what to do about Lily. Should she get top billing over my reunited lovers? The writers think so. And this past week or two of writing, when I finally admitted that I wouldn’t even get the first draft done in October (so close!) let alone something I could send my editor, I have written far more Lily pages than Reunited Lovers pages. One thing I can do when I read it over is see which one dominates page-wise. Lily’s story has more drama. Way more. The other one is pure, if a tiny bit unconventional, romance. Speaking of unconventional romance, Luke’s #1 Rule should be available for pre-order any day now. I thought it was a romance when I started it. And there is a love story, one very close to my heart. But my publisher has decided it is “Contemporary Mainstream Fiction” because really, I don’t write romance. I write love stories, always, but also mixed in there is more messy life. In Blue Lake Book 3, there IS a love story, but Lily’s theme is darker. My idea for Blue Lake Book 4 takes off from where Book 3 ends and right now I want to make it sunny and bright. That’s my goal. Somehow, during the writing process, goals change. If you are writing during National Novel Writing Month, and have taken the official challenge, then you’ll have to go with that goal changing thing. A minor character might become bigger than you first thought. A romance might become a mystery. By the rules of NaNo you really just have to push on and keep writing new pages. Some people hate first drafts, but I love them. To me, it feels like flying. I would really like to take off and fly with another first draft for NaNo. But I am not going to because I am a disciplined writer who will get down to business and finish one book before she starts another. Once again, I’m going bend those NaNo rules to my own deviant purposes. Yes, I will write every day. I will write 50K. But they won’t all be NEW words. And it won’t be a new story. It will be the revision of a story already written. I simply like the energy around the month of November for writing. Honestly, October was tough and I could use the extra support, which is out there in November like no other month of the year. Everyone on Twitter is doing it, the blogs are full of NaNo this and NaNo that, and it truly is a truly inspiring time to be a writer. So I’m thinking maybe if you’re reading this you might want to break a NaNo rule or two yourself. Go ahead. I’ll never tell. Here here! I am being a NaNoRebel this year and working on a rewrite as well instead of a new project. Unlike you, I much prefer rewriting. I feel so much more energized cleaning up/reworking a manuscript than I do when writing something fresh. Something about the blank page is terrifying to me. And best of luck to you too Amalie! It is so freeing to a NaNoRebel:) Love that term.